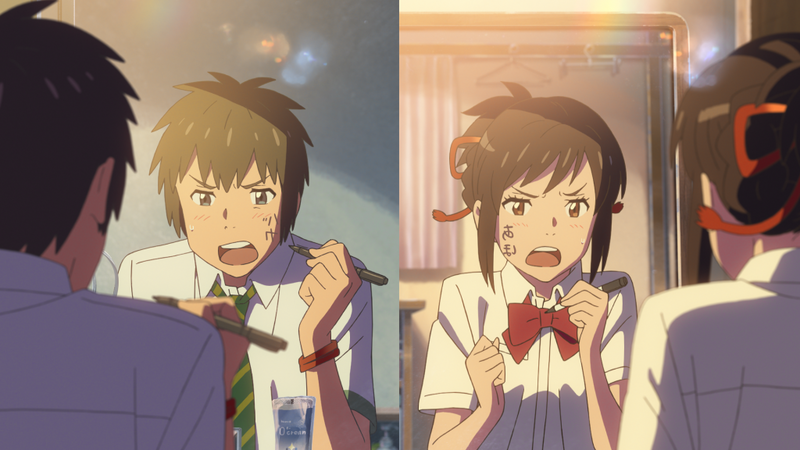 Four Japanese films will screen at this year’s New York International Children’s Film Festival, including the festival’s opening spotlight film, Your Name. This is the East Coast premiere of director Makoto Shinkai’s popular anime, which was the #1 box office hit in Japan in 2016. Presented by Funimation Films, Your Name is already sold out, but don’t worry, you can see it when it’s released nationwide in April. 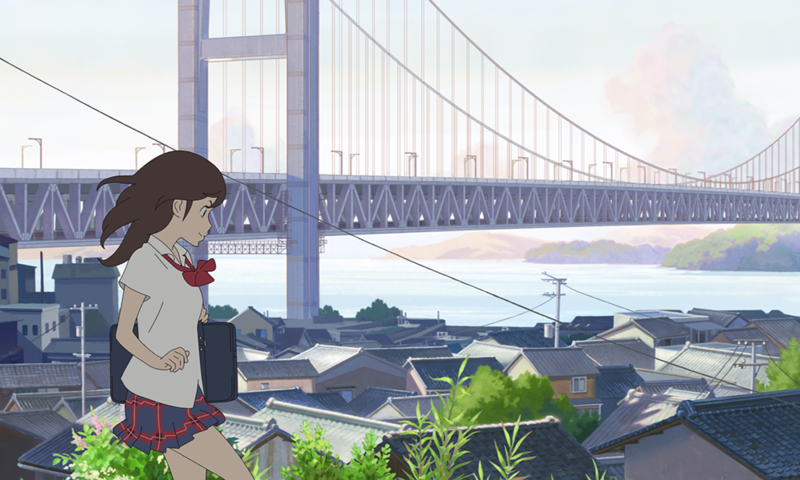 The anime was screened in LA last December for an Oscar-qualifying run that played to sold-out audiences and was well received. The closing day film will be the North American premiere of Ancien and the Magic Tablet, which is also sold out, but has an extra day of screening. 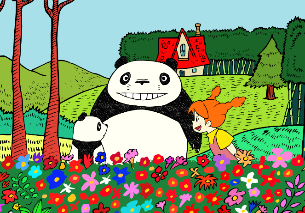 NYICFF will also screen the Japanese animations Panda! Go Panda! and Rudolf the Black Cat. 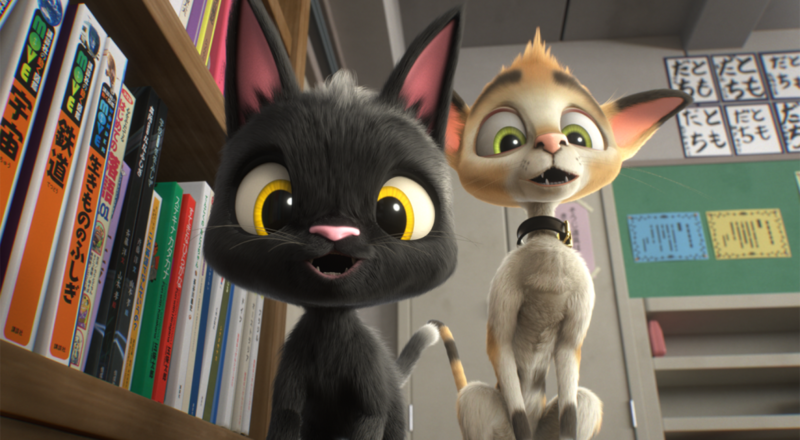 Let’s take a look at the Japanese films that NYICFF will screen. The day the stars fell, two lives changed forever. 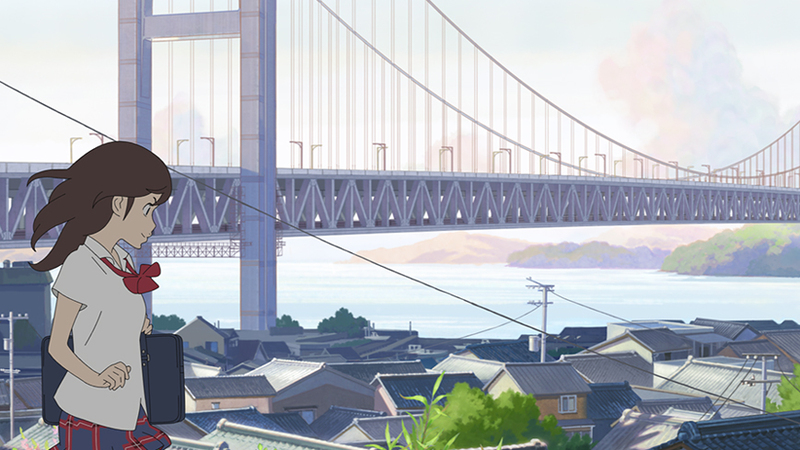 Total strangers Mitsuha and Taki live their teenage lives in separate cities until suddenly, for reasons unknown, they switch bodies. Beyond all of the physical awkwardness of their strange, new bodies, they must learn to navigate each other’s social realms and habits as they continue to swap back and forth unexpectedly. Incredibly, they adapt and form an intense bond by leaving each other messages. But can they manipulate fate and the destructive forces of the heavens to meet in person? Written, directed, and animated by anime master Makoto Shinkai, whose 5 Centimeters Per Second was screened at NYICFF 2008, the film’s world is one where teenagers are full of sensitivity in the best sense: Open to every experience and exchange and truly eager to know one another. Shinkai’s stunningly detailed signature style helped Your Name become the top-grossing anime production of all time. Rudolf enjoys a life of comfort and care in Gifu, Japan. Yet true to the adage, curiosity gets the best of the kitten, and he decides to explore beyond the four walls of his home. When he’s inadvertently whisked into the back of a cargo truck and lands in Tokyo, he befriends Gottalot, a seasoned street cat who possesses a crucial and unusual skill that will help him find his way home: The ability to read the human language. Rudolf’s journey is rich with Japanese culture, and his story celebrates the wonder of discovery – that magical moment when you realize you have the key to unlock the world. NYICFF is flashing back to a Festival classic that their youngest audiences may have missed. From the legendary team that formed Studio Ghibli (with original concepts and character designs by Hayao Miyazaki) comes two deliriously delightful animated featurettes. Seven-year-old Mimiko has somehow persuaded her grandmother to take off by train and leave her home alone. She’s quite capable of handling all duties of home and hearth, but gets more than she bargains for when Papa Panda and baby Panny turn up at her door. Their round bodies, wide grins, and off-kilter clowning offer the first glints of another charming neighbor to come. Infused equally with the amazing and the absurd, this seriously fun Totoro precursor is sure to win over new audiences and seasoned Ghibli fans alike. Panda, Go Panda, indeed! This fender- and genre-bending film takes us into the not-too-distant machine-driven future. Kokone should be diligently studying for her university entrance exams, but she just can’t seem to stay awake. Aside from stealing precious study time, her napping is even more distracting as it brings on strange dreams with warring machines that hint at family secrets that have been dormant for years. She can’t ask her father, a hipster mechanic more talented and artful than his job requires, as he’s always busy modifying motorcycles and cars in flights of fancy. What are these visions that lead Kokone at once closer to and farther away from her family? Like all the best anime, the film revels in multilayered fantasy to show how sometimes opposites – waking and dreaming, the past and the future – are far more intertwined than they appear. The festival runs Friday, February 24 through Sunday, March 19. For a complete list of films and to purchase tickets, please visit NYICFF’s website.